However, you need to understand the importance of packing light, especially when you are traveling to a far place for the first time. While you may want to bring a lot of things and clothes with you, you may not be able to enjoy your trip and it will cost you more if you have more baggage. 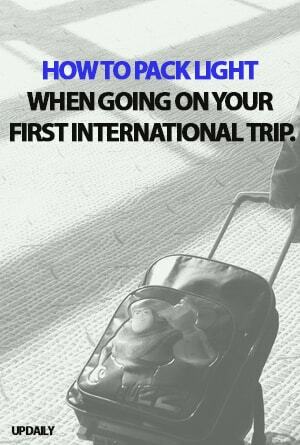 So keep it light and here are some tips on how you can do it when traveling to an international destination. 1. Contain everything in just one bag. To make traveling easy, you need to have all of your stuff fit into just one bag. 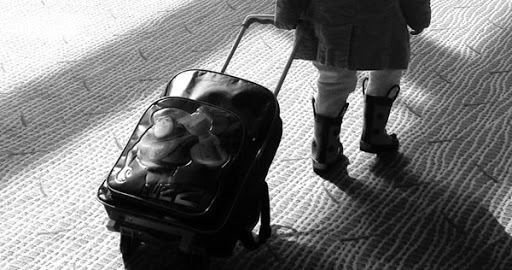 And while you may want to bring a trolley, it will be better if you bring instead a carry-on luggage. It will be less complicated when you hop in from one place to another. You will enjoy better freedom and mobility, plus they are less likely to get stolen because you have it worn or carried in your body. 2. Check the weather in your destination. So you can bring just the right pieces of clothing for your trip, you need to check how the weather is wherever you are going. If it’s summer in that particular country, then you know what kind of clothing you are packing. This will help eliminate unnecessary pieces that could take up some space in your luggage. 3. Plan for your daily outfits. You don’t have to bring your entire closet in your bag so it is better if you have your outfits planned out. Also, bring just a pair or two of your shoes that can go with every piece of outfit you have. 4. Fold your clothes properly. There are folding techniques you can follow to make sure that you maximize the space in your bag and one of the most common is getting your clothes rolled instead of having them folded. It is actually easier to get them into your bag and you can use up every inch of the space inside. If you want to enjoy your travel with less hassle, pack light!